Over the weekend, the Financial Times reported on a story about a deal between the UK and European officials intended to bring the UK back in from the cold after the row over the fiscal pact late last year. This row had left the UK isolated with many accusing Cameron of sacrificing the UK’s relationship with the EU in order to defend his friends in the City of London. As we argued then, the idea that continental Europe had finally liberated itself from the neoliberal anti-regulationist shackles of London finance was greatly over-done. This sentiment was a mixed bag of Euro-chauvinism and some false hopes placed in the socially progressive potential of the Sarkozy-Merkel alternative. 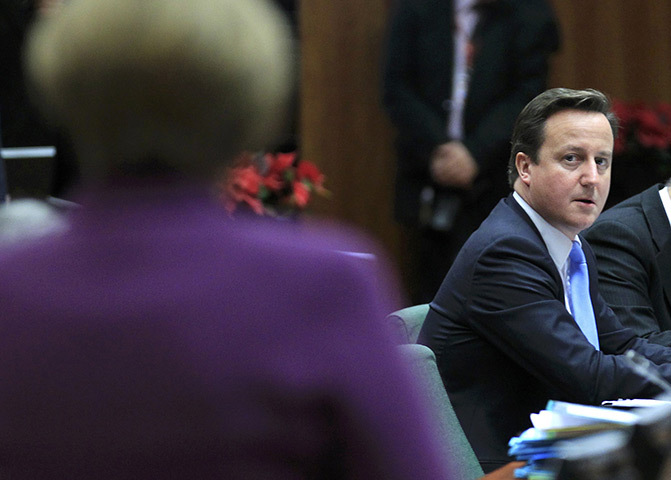 However, what was striking was Cameron’s apparent willingness to alienate all his European peers. His break with the consensus was exactly the kind of actions that the EU is meant to guard against: as Perry Anderson has put it, in the EU any such kind of public disagreement is considered a serious breach of etiquette. This is what makes the FT’s weekend story interesting. It reports that British and European officials discussed the possibility of swapping the portfolios of European Commissioners, bringing the Frenchman Michael Barnier over to foreign affairs and putting Baronness Ashton in Barnier’s place as Commissioner for the Internal Market. Barnier and Ashton would thus swap places in order that Cameron can reassure the City that at the person responsible for financial regulation in Brussels is the reasonable and compliant Cathy Ashton, and not the hard-headed Paris-backed Mr Barnier. This story is good evidence of what has already been commented on at the Current Moment: the desire of the EU’s member states to remain part of the club, almost at any cost. Cameron was willing to have a public fight but his officials then worked behind the scenes to see what arrangement could be found. This desire to avoid exclusion has driven much of the UK’s policy towards the EU for some time: public protestations matched by private assurances and continued close relationships between officials and experts. This also tells us something about the nature of the Commission’s portfolios: rather than being themselves political offices, they are instead titles that can be traded in order to fashion a deal. As the FT put it, British officials were reportedly “handed Barnier’s head on a plate” by Commission officials hoping to bring Cameron round on the fiscal treaty. The fiscal pact has been ratified in the absence of the British. But further down the line we will see the British government somehow assimilated into the European policy process and able to work the rules round so that they can accommodate British interests. That is the proper etiquette of the EU.